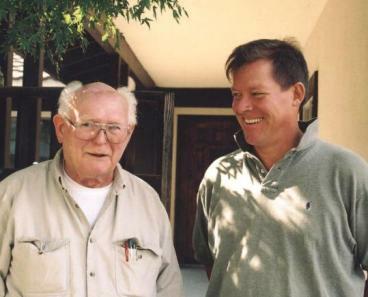 Photo: Marion Fulk, a nuclear physical chemist and former scientist with the Manhattan Project and the National Laboratory at Livermore, Calif. with Christopher Bollyn. While I am actively investigating DU weapons and how they contribute to Gulf War Syndrome, the corporate-controlled press ignores the illegal use of DU and its long-lasting effects on the health of veterans and the public. In August 2004 I published a ground-breaking four-part series on DU weapons and the long-term health risks they pose to soldiers and civilians alike. Information provided to me by experts and scientists, some of it published for the first time by me, has increased public awareness of how exposure to small particles of DU can severely affect human health.